The world is in the awe of smartphones. While we bring our smartphones to robust use each day to fulfil our entertainment & communication needs, we forget that this marvel of a product is useless without power. 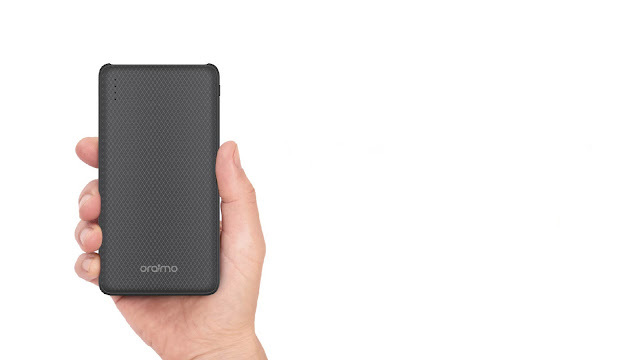 oraimo, the smart accessory brand from TRANSSION Holdings, has announced the launch of the slim and stylishly designed, Toast OPB-P103D with a capacity of 10,000mAh. Priced at INR 1,799, Lithium polymer battery cell enabled power bank comes with 200 hours’ standby time and 8 hours’ talk time. Leveraging the international research and development capabilities of its parent brand, oraimo has made considerable advances in charging and power storage technology. The high density Lithium-polymer battery cells ensures faster charging with high capacity in its power banks. The power bank can seamlessly fulfil the continued power requirements of a device for several days providing comfort. The Toast power bank has a shell that uses an anti-slip pattern for better grip. Boasting an ultimate slim exterior with only 13mm thickness, the power bank looks classy in the scratchless white and black body and is equipped with advanced features such as dual-power output with fast charging capabilities. Toast OPB-P103D 10,000mAh power bank has a single DC 5.0V/2A input port and two output with DC 5.0V and 2.1A MAX. The dual USB output supports high speed charging of two devices at same time. The power bank measures 143*75*14mm. Compatible with all iOS and Android devices, smartphones, mobiles and other smart devices, oraimo’s all new Toast OPB-P103D 10,000mAh power bank can be purchased from various mobile accessories and electronics stores.